Comedian Royale Watkins brings you an original mix of the funniest comics, the Livest music and a guaranteed good time! Four comics, one of NY’s most incredible DJ’s, a live band and a guest music act to close to show. Past performers include Tracy Morgan, Tom Papa, Sherri Shepherd, Amy Schumer, Chris Rock and Jerry Seinfeld to name a few. 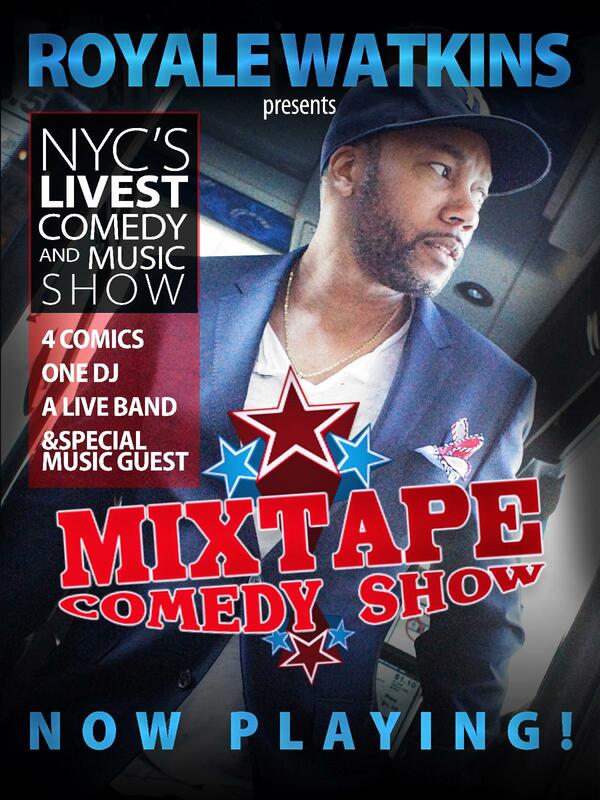 But what really sets The Mixtape Comedy Show apart from other shows is your presence. We look forward to seeing you at the show!